With their contemporary design, amazing flexibility and wide variety of connection possibilities, Partito Walls and Screens together optimise valuable square metres and promote harmony between people and their direct environment. Space needs structure. Partito supplies it. 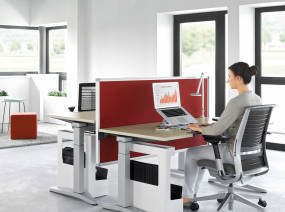 With one design and two solutions, you can create areas that make it easy for people to work together or that help them to concentrate and function independently. You can also facilitate communication, create the right ambience for learning, and even help in the decision-making process. 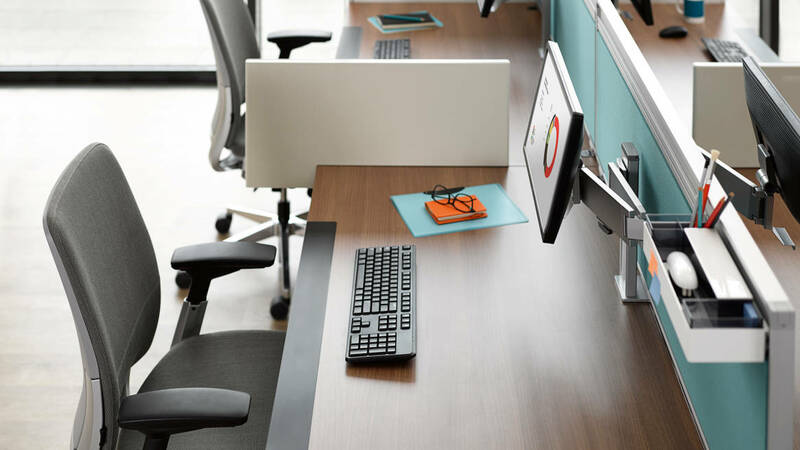 Partito Walls and Screens are simple to integrate into all our desks, so you can build a modern and attractive framework that meets the demands of today’s office workers. The clear, straight lines combined with the choice of materials and colours help maintain individuality. 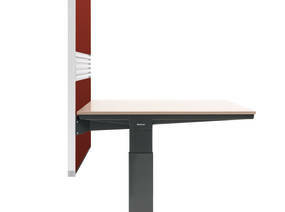 Adjustable in height for extra convenience, it can incorporate accessories like a flat screen monitor support or other simple tools for efficient organisation of your workspace. 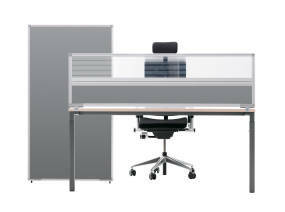 It is ideal for call centres configurations (allowing both visual and acoustic privacy). Since time immemorial, people have had an inbuilt need for their own personal space. In today’s office environment, the situation is no different. 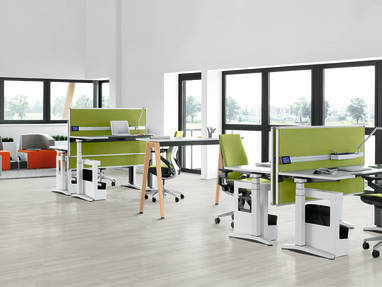 That’s why Steelcase created Partito, a flexible and ingenious system that optimises the way in which those valuable square metres are divided up. 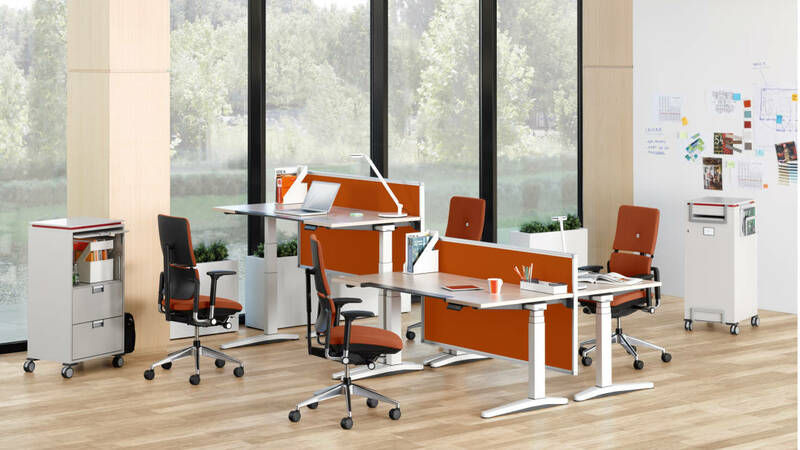 Partito brings structure to open areas and offers support for the many different types of tasks carried out during the working day. On average, 80% of your working time is spent with someone else. Partito is designed to enhance communication by encouraging and facilitating contact with others. Everyone has to be able to concentrate. Partito contributes to business performance by giving people the peace and space they need to think clearly and work decisively. People can spend 30 minutes of each working day searching for information. Partito helps you organise better and find what you need quicker. Add-ons like paper trays and binder holders – at whatever height you find most convenient – make many daily tasks go a lot smoother. 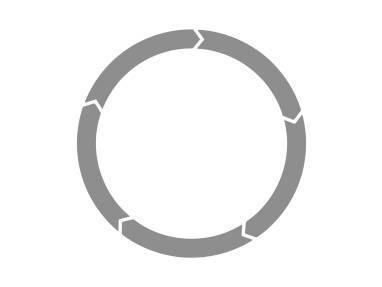 Partito contains 24% of recycled materials, by weight and no hazardous materials. Paper and packaging use water based inks without solvent. The packaging is made of 30% recycled cardboard and 30% recycled low density polyethylene (LDPE) film. 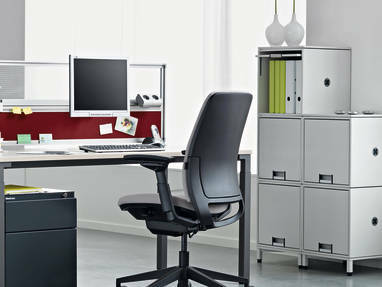 All European Steelcase production sites are certified ISO 14001. The glue used to glue the wood and fabric is water based and releases no volatile organic compounds. In order to save energy for shipping, we optimise the transportation distances, type and filling rate, and minimise packaging volume and materials. 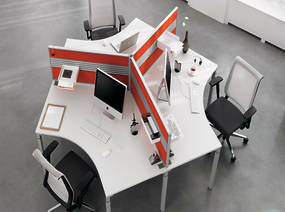 Partito was designed for a long product life, with replaceable elements. The chipboard meets the low-emission E1 standard (EN13986) for formaldehyde. Partito is about 45% recyclable by weight. All packaging components: cardboard, polyethylene foam and low density polyethylene (LDPE) film, are 100% recyclable. PEFC (Programme for the Endorsement of Forest Certification). The wooden components of Partito are labelled with PEFC (Programme for the Endorsement of Forest Certification). With Partito we can provide an Environmental Product Declaration (EPD), according to the objectives of ISO 14025, based on Life Cycle Assessment (ISO 14044).